We love seeing photos of what our customers make with our products! Every bolt of fabric holds so much potential. Obviously, we try our best to come up with unique and practical ideas for using homespun fabric but some of the best ideas come from YOU — our customers! 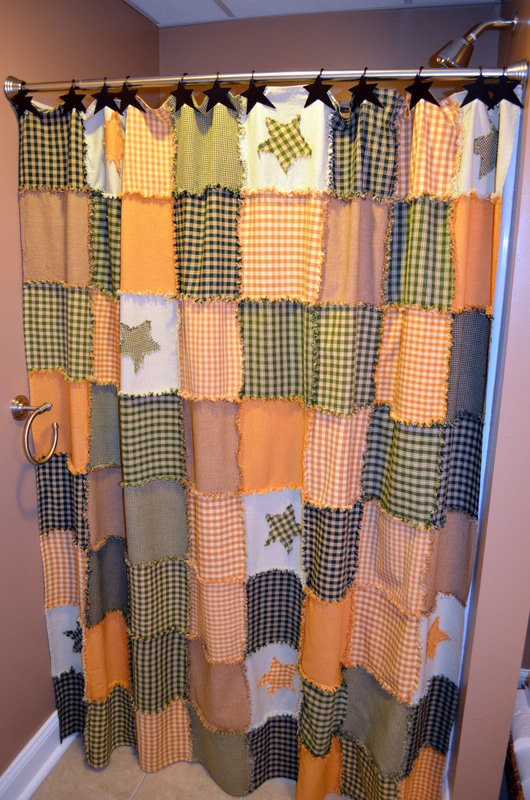 Kay M. sent us these pictures of a shower curtain and matching decorative window valance (click on the pictures to view them larger). Making your own shower curtain allows you to choose the perfect color scheme for your bathroom. And homespun fabric is so easy to care for — just throw your shower curtain in the washing machine when it needs to be refreshed! Don’t you just love the stars sewn into the shower curtain and the coordinating star shower curtain hooks she used? If stars don’t fit your theme, you could also sew on hearts, letters, crosses, or any shape you feel ambitious enough to attempt! Use scrap fabric pieces to tie bows around your soap dispenser and towel racks to coordinate the entire room. 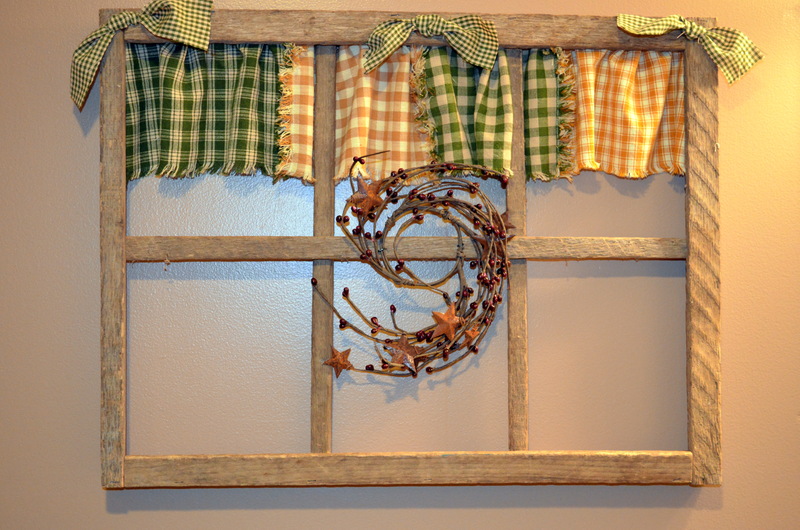 Send us pictures of projects you’ve completed and you might see them featured on this blog. Kay is working on a matching rug and toilet seat cover for her bathroom. We hope to see pictures of those when she’s finished! I wonder if Kay M. would be willing to share her pattern for this?? 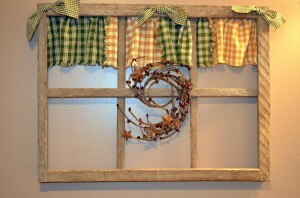 I need to do this in my bathroom, but need to modify it to be a split curtain (in the middle). I have a clawfoot tub that has walls on only two sides, so we have one of those annoying rings that attaches to the ceiling for the curtain…I absolutely love this curtain!!! Hi Charly! We’re hoping to add a shower curtain pattern to our Jubilee Fabrics website sometime in 2013. In the meantime, maybe Kay will see your comment and reply with pattern instructions! That’s great, I’ll keep an eye out for that pattern from Jubilee or Kay. Thank you! very very cute! love that!